BULLDOGS #2 is a smart, wholesome comic with hot vicar on vicar action! 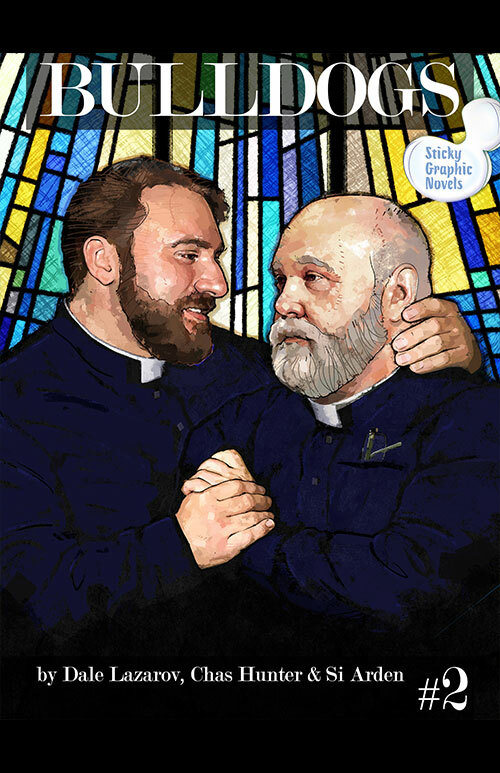 A bracing village fête tug-of-war between firemen and Church of England clergymen leads two beefy yet kindly gay vicars to retire to the parsonage for mutual affirmation and exchange of blessings. And there was much rejoicing.